With the incoming holiday season, comes a time that is difficult to keep weight off. If you are a resident in a place that sees heavy snow, your abilities to work out may be limited. The holidays also bring an onslaught of goodies and treats—most unhealthy. For some, the presence of the season can keep you from keeping your weight goal. Excuses pile up and before you know it, you have well exceeded your desired weight. You know you could do better, go to gym or resist certain eating habits; but somehow you just cannot find the motivation to change your ways. Along with weight gain comes multiple serious health concerns. Though weight can have lasting effects on your own self confidence, the health risks can be listed in a very long, and serious list. There are two types of diabetes: the first, you are born with and typically becomes present before the age of 20. The second, you develop over time, mostly due to bad eating habits. Type two diabetes is caused when your body becomes ‘insulin resistant.’ This means that your body, specifically your beta cells in your pancreas, cannot absorb the sugars you eat. Contrary to what you may think, some sugar is actually good for the body. These glucose sugars in foods like carbohydrates, are used to allow certain organs to function and give the body energy. Without the body’s ability to break down these sugars, energy is cut off from the body. Insulin is a hormone created by the pancreas that keeps the levels of sugar in the bloodstream balanced. Having too high of blood sugar is called, hyperglycemic. Type two diabetes is linked strongly to heart disease, which could be life threatening. If you are prediabetic, one way to treat the onset of type 2 diabetes would be to regulate a healthy balance of diet and exercise. Though you can make serious strides in becoming healthy, sometimes you may be predisposed to diabetes through your inherited genetic traits. High blood glucose levels, or high blood sugar, can seriously damage your blood vessels. Blood vessels are like little pipelines that carry blood to your organs. The most important of organs—your brain—needs constant blood flow. By having a build up in your vessels, this will result in a clot or block. This block will cut off blood, but more importantly, oxygen to the brain. If the brain is void of blood and oxygen for too long, the patient will either die or suffer major brain damage. The likelihood of developing heart disease can be genetically passed down from generation to generation. 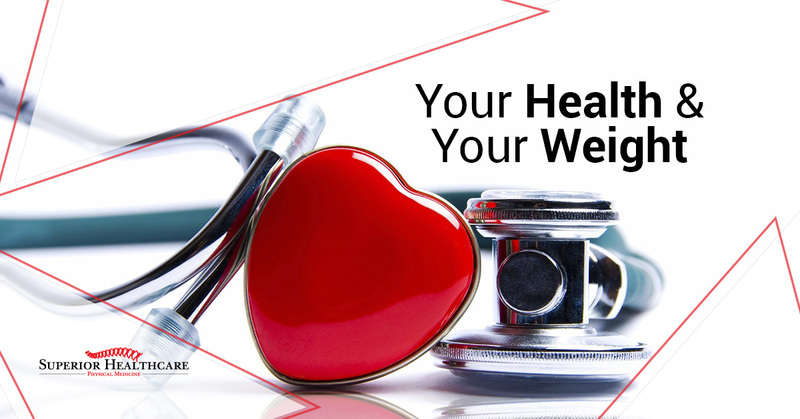 However, those who have diabetes or weight-related health risks, are disposed to heart disease. By keeping yourself healthy, you significantly reduce your likelihood of having heart disease, hypertension, or stroke. This is commonly referred to nonalcoholic fatty liver disease. Often when people drink heavy quantities of liquor over time, they can do extensive damage to their livers. However, you could not drink a day in your life, but still cause harm to your liver. How? Well, if you have high percentages of fat on your body, damage to your liver may occur. Scientifically the disease is called hepatic steatosis, and occurs when there is a fat buildup in your liver. Your liver is the second largest organ in your body and plays to role of your body’s garbage collector. In short, the organ sorts through the contents you eat and drink and separate the wastes from the blood. When there is a buildup of fatty tissue near the liver, it cannot fulfill its duty to the body. As a result, scarring occurs and wastes slip through into the blood.Obesity is one of the main causes of fatty liver disease. Though a little fat on the body won’t cause fatty liver disease, it is really important to track your eating habits and exercise regularly. Though the days at the gym can hurt and are time consuming, a little exercise can go a long way. Your kidneys are valuable organs because they filter wastes from the blood. Their primary function is to ensure that no wastes enter the bloodstream. When you are unhealthy, you tend to damage your kidneys, due to the fact they are not getting the nutrients they need. To go a step further, if your body has extensive damage, such as type 2 diabetes or hypertension, your blood vessels in the kidneys will be significantly damaged. When there is harm to blood vessel, specifically your small blood vessels called capillaries, more blood is able to flow. This is extremely bad because, your kidney cannot filter with precision. Thus, waste enters the bloodstream which will make you sick, causing: fatigue, nausea, vomiting, loss of appetite, and sleeping problems. One way to ensure the healthy function of your kidneys is to maintain a healthy lifestyle. If you are unhealthy, you’re significantly reducing the functioning level of your body. When you load your body with copious amount of wastes, you overwork your kidneys. Healthy living is the key to productive kidney function. Osteoarthritis, or degenerative joint disease, occurs when the cartilage of the joints break down. At your joints, there are pockets of cartilage that covers your working bones. Either due to injury, genetics, overuse, or weight, this cartilage breaks down over time and causes bones to reach closer and closer to each other. When cartilage is depleted, bones mash together during movement, creating a very painful sensation. Overweight is a leading factor for developing osteoarthritis (OA). When your body contains a lot of additional weight, your cartilage must hold up that weight. Overtime, your cartilage is worn down due to exhaustion. Weight is a huge factor in living a healthy life. So much of your body is affected by your body mass index. With additional weight you add stress to your joints, and with extra wastes in the body you put your organs on overdrive. There is no denying, weight plays the role of a domino. Living a life of obesity will only lead to a list of health issues. If you are overweight and understand your current risks, it is time to act. Eating healthy and exercising regularly are your first steps to fixing your health. However, after years and years of abuse, your body might need a little head start in order to begin the healing process. Nonsurgical fat reduction might be a good option for you if you are at severe risk and need fat removed quickly. At Superior Health in Metairie, LA, we offer non invasive laser lipolysis. In this procedure, lasers are used to encourage the production of protein collagen, making skin tight. The laser targets fat cells by forcing the fat cells to open and absorb the contents within the cell. As the contents are absorbed, the cell shrinks, getting rid of fatty deposits under the skin. This procedure is often called a laser tummy tuck. If you are at risk for any of the above health concerns, making a change to your body could be lifesaving. At Superior Health, we strive to give your body the best head start. If interested in making the first steps of a new healthy life, contact us!